Is protected by our exclusive Rensup finish (on brass)? Has a beautiful green floral pattern on porcelain? Glass Shelf. 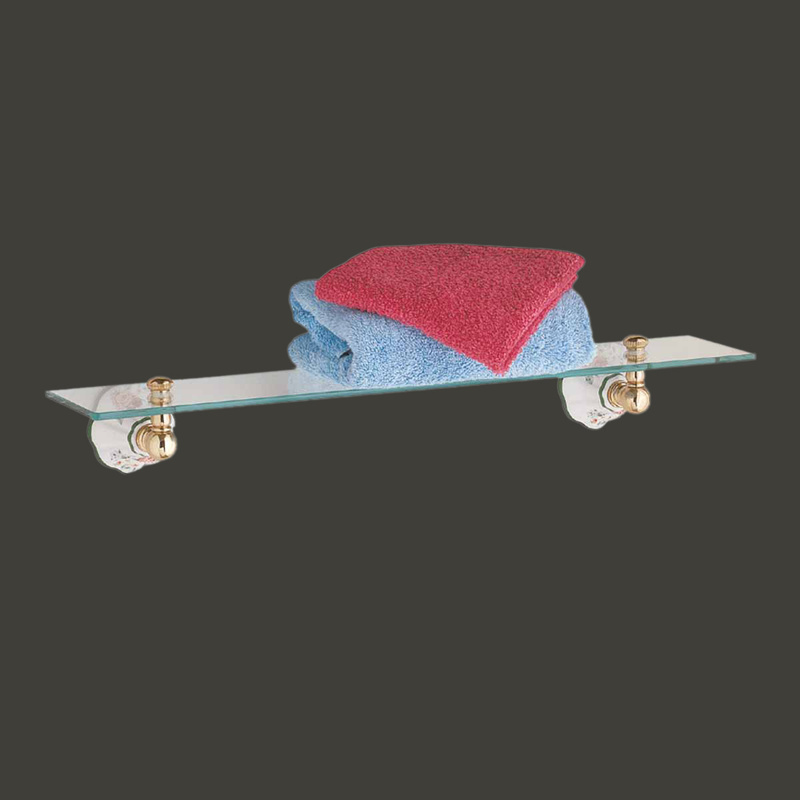 With Renovator's Supply finished brass trim, this glass shelf is a lovely choice for any bath. In addition to a beautiful ribbed pattern, the fine white porcelain backplates have a delicate green floral design. 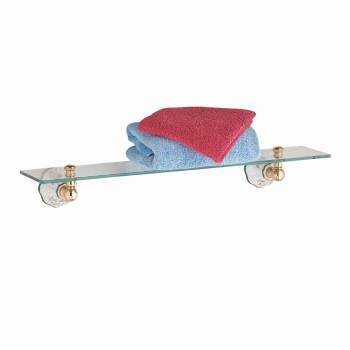 The 1/4" thick shelf measures 21-1/2" long x 4-3/4" wide and has rounded edges. The backplates project 1-3/4 in from the wall, making it 3-1/2 in total height when mounted.